The Customer Relationship Management field is an exciting one to be plugged into. Growing exponentially over the last several years, Gartner expects CRM to become a $36 billion market by 2017. This growth bodes well for prospective job-seekers in the industry; there will be room for employment, growth, and advancement. You’ll just need to know where to look for the opportunities. We’ve taken a look at Glassdoor to check out just what employees and insiders are saying about the CRM companies they represent. To make it easier on you, we have sifted through the list, providing you with a closer look at the 10 companies we feel are most in tune with what employees demand from their jobs. We have specifically looked at companies with employee satisfaction ratings of 3.5 or higher, and CEOs who have won the approval from their staff. Although the list is ranked from top to bottom, they are each worth the closer look and, hopefully, you’ll be the one leaving reviews for one of them soon enough. Founded in 2011 by two tech wunderkinds, Freshdesk has been growing steadily since. The balance between being a growing firm and still maintaining a work environment that promotes expressive freedom has garnered much praise from its employees. The ambience is another selling point of working here; employees rave about the fun-yet-friendly vibe of the office they share with other free spirits like them. Overall, the glaring con of working here seems to be the fact that there aren’t enough foosball tables… Not necessarily the worst problem to have. Check out Freshdesk’s current job openings here. Cling to the core values. Chandler, Arizona’s own Infusionsoft makes it clear that the company’s mission “is to create and dominate the market”. They’ve been around for more than a decade now, but their adherence to core values has been what’s led to their successes. And it’s what’s got their employees buzzing. There is a virtually-unanimous understanding that goals drive the company forward, and employees are motivated to remain focused and united. While some feel that the constant upward trajectory of the company can be leading to some growing pains, the overall outlook of playing important individual roles there remains optimistic. Check out Infusionsoft’s current job openings here. According to COO Jim Sheehan, PowerObjects is in a “very rapid growth” period. With a job growth of 107% over the past year, the foot doesn’t appear to be coming off of the gas pedal anytime soon; healthy job growth is projected for the near future. Employees gush about management’s ability to develop and direct them from the very first day at the office. Competitive salaries and benefits are boons here while the only concession seems to be that the weather in Minnesota- where the company’s headquarters are located- can be cold… Having many office locations across the continent takes care of this concern. Check out PowerObject’s current job openings here. An atmosphere of collaboration is what you can expect from working at Velocify. Employees rave about the time they spend working with their ultra-talented peers as much as they rave about the always-stocked kitchen… which is important, too! It’s also evident that management values what the staff has to say; there is overwhelming praise for the fact that innovations, ideas, and input are actively sought from all corners of the office. Check out Velocify’s current job openings here. 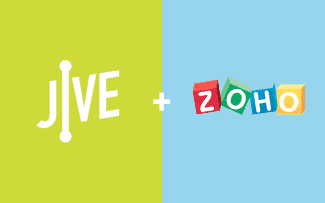 Since 1996, Zoho has made it a goal to be ultra-versatile for businesses that utilize their services. This versatility just so happens to be something its employees praise, too. It’s one of the stand-out facets of the laid-back nature at the company. Malleable work schedules are available for those that need them and a dress code is not enforced. While the workload can admittedly become heavy, employees find solace in the fact that Zoho feels like home. And, with a 10% increase in job growth over the past year, Zoho’s quickly becoming “home” for many more. Check out Zoho’s recruitment system. For the go-getters out there. CEO Mikkel Svane makes sure he’s more than a figurehead at Zendesk; employees seem to genuinely love him, expressing how great it is to see him hang out with them at office parties and other special events. This is a part of the culture of the fast-growing company. The product and customers aren’t the only important pieces to the puzzle here; the employees matter, too. While the accelerated growth of the company can be exciting, there are some wrinkles that pop up in interoffice communication. This is not for the faint of heart; the independent, self-motivated go-getters are the people that thrive. And there’s every opportunity here to do just that. 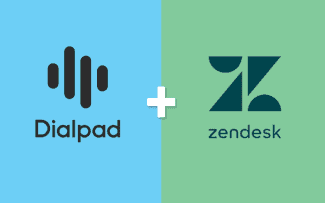 Check out Zendesk’s current job openings here. If you’re looking for a company that’s all grown up but still retains a start-up feel, Veeva Systems manages to do just that. Employees thrive here because of the ample room to grow professionally and the opportunities that exist for them to wear many different hats in the company. And just like life in a start-up company, if one role doesn’t fit you, there’s bound to be another one that does. This also ties into the great sense of pride employees have in the product. At Veeva Systems, it doesn’t feel like work; it’s more dynamic than that. And while employees do concede that compensation packages may not jump off the page, they are also quick to point out that everybody is laser-focused and, so, work never gets stale. Check out Veeva System’s current job openings here. Consistently in the news for its innovations and work environment, Salesforce.com is no stranger to Top 10 lists like this one. The salaries are competitive, the staff is elite, and the potential is still there for the company to grow. Oh, and there are perks that are nothing short of impressive: free food and snacks, on-site basketball and volleyball courts, and a minibar. The balance between being at the forefront of the industry and not losing sight of core values is a difficult one to find, and this is what employees seem to be most vocal about. But, for those who are ready to tackle new and evolving projects, Salesforce.com is the challenge you seek. Employees agree that the resources and training exist here to make it; but it’s the self-motivated that truly stand out. Check out Salesforce’s current job openings here. Since being founded in 1998, NetSuite has expanded across the globe with offices in many different countries. And along with its stature in the industry comes a tried-and-true product. Employees seem to have a deep-rooted pride in the services NetSuite provides; they are unofficially product evangelists as much as they are officially compensated staff. Competitive compensation and stock options are two major pluses. The one drawback that workers bring up often is the idea that the offices may be too big, leaving a disconnect between management’s vision and the staff’s execution. But timely recent executive hires have NetSuite on the right track going forward. Check out NetSuite’s current job openings here. Employees rave about Soffront’s ability as a company to absorb crises and still succeed. While the recession hit companies hard, Soffront’s product has always been good enough to weather the storm. This confidence exudes from the employees that have comments about the company. Almost unanimously, it’s the product that gets the most praise here, its utility realized by sales and marketing teams alike. 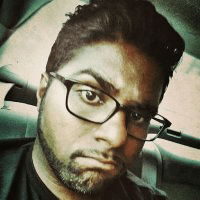 President & CEO Manu Das calls the workspace “Excel on steroids.” Lateral mobility sometimes supersedes vertical growth, and that seems to be the one bad taste in mouths, but the opportunities to prove yourself are there if you’re willing to take advantage of them. Check out Soffront’s current job openings here. 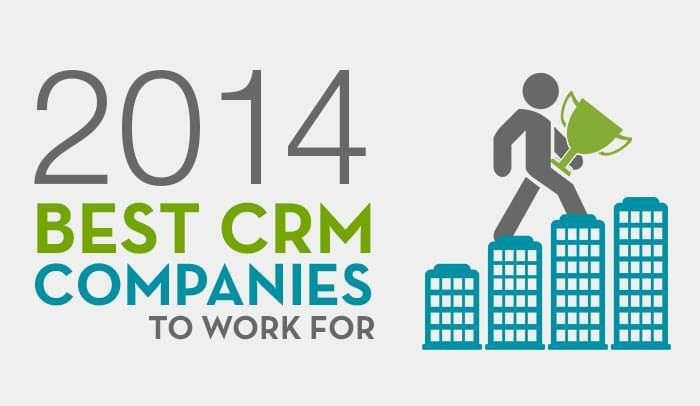 The opportunities abound in the CRM world right now. In a rapidly-growing industry, there are a plethora of companies that can nurture, drive, and challenge you. Some offer outstanding perks, while others offer the versatility you need to evolve professionally. You just need to know where to look; hopefully, this list can get you started.